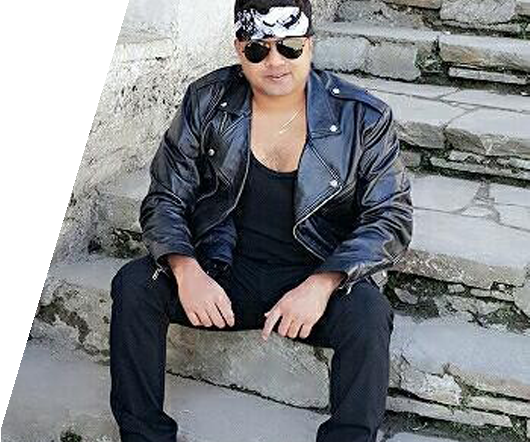 In 1998, Kiran Roy revolutionized contemporary music education by offering India’s first full-time program to offer hands-on professional training for the guitarist with lessons directly being imparted by Kiran Roy himself. 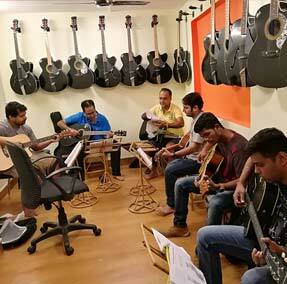 Exactly two decades later, Kiran Roy remains the leader in guitar education, with a unique system that combines technical, creative and professional development in a performance-based program. 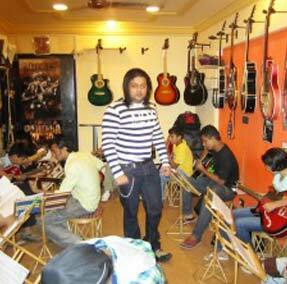 At Kiran Roy’s Guitar Studio you learn directly from Kiran Roy again like his early years. Not from his teachers, his students or his assistants! From a proven curriculum devised by Kiran Roy himself, augmented by visiting artists’ seminars, concerts, and lessons from some of the greatest players in contemporary music. 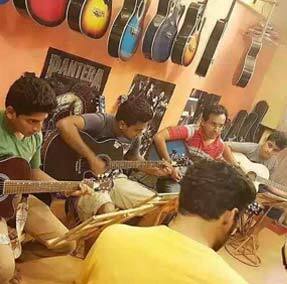 At our guitar studio, you get to network with other players, find your creative voice, and get the training you need to become the player you have always dreamed of being. 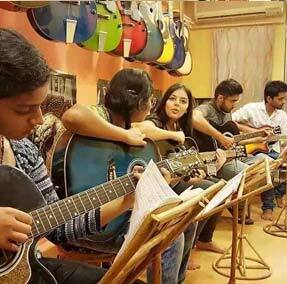 Also a big part at Kiran Roy’s Guitar Studio are jamming sessions which are conducted regularly where students can jam and perform with fellow students and can put on display what they’ve learnt. We accept all credit and debit cards. Kindly take an appointment before dropping down.